When it is time to retire, a lot of research and preparation goes into where you would like to “hang up your hat.” Retirement is an exciting and unique experience. For many, it is the first chance people have to choose where they want to live versus where work wants them to live. Sioux Falls has become a destination for those who want to experience an enjoyable retirement in a city that is slow enough for relaxation and fast enough for great entertainment. Sporting low crime, attractive neighborhoods, highly rated schools, and endless options for entertainment, Sioux Falls is quickly becoming a destination for retirees. One of the biggest selling factors is Sioux Falls’ health care industry. The health care industry is booming in Sioux Falls, with Sanford Health being the largest Sioux Falls employer. Additionally, Sioux Falls has been ranked as the best in the nation for health care, one of the 10 most affordable places in America to live, and is ranked as one of the 100 best places to live. Livability matters, especially during retirement. A city that has access to fantastic healthcare, does not have to deal with high crime rates, and that offers an array of options for food and entertainment is a city worth retiring in. Another great reason why people retire in Sioux Falls is its booming art scene, which has been said to rival that of New York’s. From live theater and art-house cinema to live music, science exhibits, and art installations, Sioux Falls is no stranger to arts and culture. Additionally, Sioux Falls has over 80 public parks and over 25 miles of paved bike trails and walkways to keep up with an active and healthy lifestyle. Sioux Falls has over 660 eateries and has been featured in the New York Times for its eclectic offerings. With a range of cuisines to choose from and endless eateries to explore, Sioux Falls offers up the perfect food scene for retirees. The median home cost in Sioux Falls is $180,100 (the median home cost in the US is $216,200). 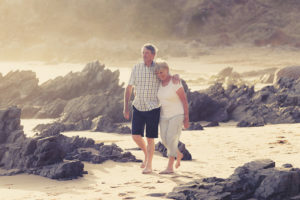 When it is time to retire, most retirees want to live comfortably but do not want all of their hard-earned and carefully saved money going towards rent or a mortgage. Buying a home in Sioux Falls will allow retirees to live comfortably without having to put all of their money towards housing. Additionally, as Sioux Falls grows in popularity, property values will not depreciate. Sioux Falls has a lot to offer to retirees. From its fantastic health care system, to its wide range of cuisines, eclectic arts scene, and cheap housing, Sioux Falls has become a popular destination among retirees. An added bonus is that the city is only home to around 170,000 people. This makes for less crowded roadways, grocery stores, restaurants, and entertainment venues and creates more time for you and your loved ones to enjoy retirement the way it was meant to be enjoyed.